Juli, que mona la rebeca lila. Guapísima, me encanta la chaqueta! wow you look amazing and that blazer is so classy! thanks for checking out my blog, I am your newest follower, I really like yours!! oh, and purple is my favorite color!! I swear this sweater is the cutest thing i have ever seen. you look so darling! Me encantan los volantes y esos botines morados diviiiiiiiiiinos!. Great outfit, i love these sunglasses so much! I love the jacket and the boots! 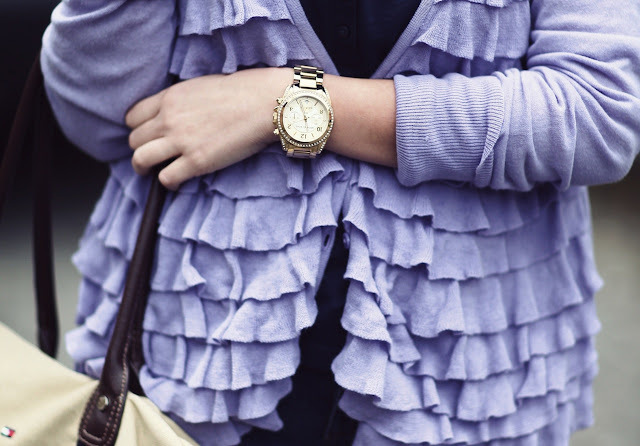 Adore that cardy!!!! So awsome!!! mencanta todo! !, especialmente las botas!!! Your photos are amazing! I LOVE them! And I need to get some boots like that! Super awesome blog. I am your newest follower :) Come by mine and say hi too! Awesome outfit! I love the sweater! Hello, I love your look is beautiful. 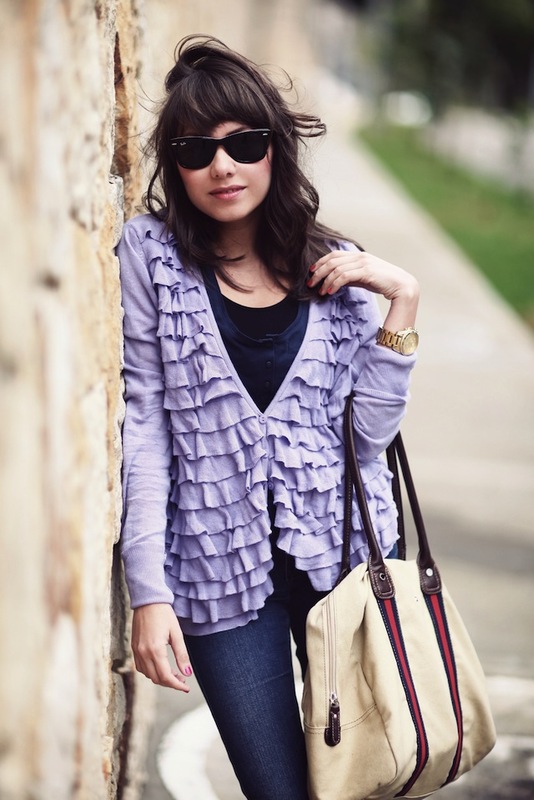 i can never get enough ruffles, very cute cardigan! AMO todo tu look, esass botas estan preciosas!!!! YOu look amazing, I love the boots! Such gorgeous shots of you! Great shadesss!!!! And great style!!!!! Ill be following ure blog in everything!! I would love if you could check out my blog. Your photos are really lovely and your legs are so skinny! you look amazing! so nanette leopre! omg. new blog crush. I LOVE YOUR PHOTOS. they are beautiful... the bokeh is just lovely! me ha encantado la chaqueta! ese color sin duda te favorece! un besito guapa!! Estan hermosas tus botas juli el violeta me encanta!!! you look wonderful! I love the colors! Follow me if you're not already, if you think this is annoying, ignore this. When you follow me, I'll follow you back. like the sweater so much! Hello there sweetie! Just found your blog and congrats, I really love it! Great photo shoot and outfit! Would you like to check my blog and if you like we can follow each-other. follow me, let me know by comment and I will follow you right away! Great watch, i Love it.! Thanks for the lovely comment! I loveeeeee the Forever 21 sweater so cute !! !